As the climate becomes less predictable, and populations increase and move into denser urban centres, municipalities and regions are increasingly recognizing the need for food strategies. Orland Conservation has assembled a team of food security experts with specializations in local food production, procurement, distribution, and equity. Given our organization’s emphasis on sustainability, we consider environmental, social, cultural, and economic factors when developing food-related solutions. 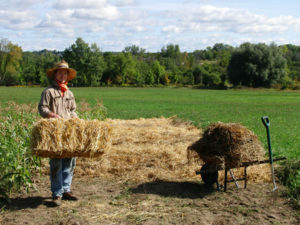 Our newest initiative, the Forever Farm Program, supports Ontario’s organic farmers through a rent-to-own model. By helping farmers access farmland, we hope to support the creation of successful, sustainable, organic farming businesses while protecting farmland across Ontario. Between 2008-2015, Orland Conservation developed and managed Backyard Bounty, an urban farming social enterprise based in Guelph, Ontario. Backyard Bounty was Ontario’s premier urban farming social enterprise, serving nutritious, local, organic vegetables to the citizens of Guelph for many years. The organization connected with countless Guelph businesses and residents through food security programs, helping the community get ‘up close and personal’ with the growth of our food. 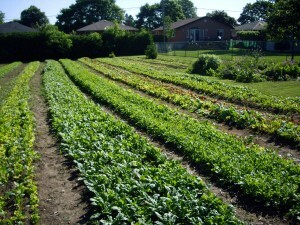 This unique program supplied vegetables to citizens of Guelph, Ontario through a number of pathways since 2009. Originally conceived within the rural market garden framework, selling vegetables to restaurants and farmers’ markets, it evolved to a collaborative model, partnering with the Guelph Food Bank to supply fresh vegetables to those in need. Over the years, Backyard Bounty partnered with members of the community to convert more than 35 parcels of land into productive gardens growing vegetables naturally, demonstrating to countless folks that there are greater alternatives to having a lawn. The aim was to increase awareness about sustainable urban gardening and organic food production while providing nutritious food to the community and improving the biodiversity and reducing pollution in Guelph. Orland Conservation retired the Backyard Bounty program in January 2018 to focus more on our core conservation services and new projects. Backyard Bounty was led by a talented group of food security experts, researchers and innovators to develop food-related projects and strategies. Collectively, the team brought more than 15 years of experience in research, project management, knowledge translation, knowledge mobilization, outreach, networking, and strategic planning. Robert founded and managed Backyard Bounty from 2008-2015 as the premiere urban farming and food security social enterprise in Guelph, Ontario. Backyard Bounty was a division of Orland Conservation, an environmental consulting group that offers a range of services in land conservation, sustainability planning and environmental communications to municipalities, conservation authorities and land trusts. 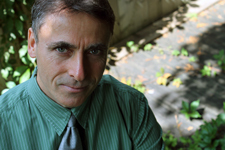 Acquiring over 25 years of experience in land conservation, Robert began his career as an environmental planner with the Lake Simcoe Region Conservation Authority and worked in a variety of positions before specializing in land securement with the Nature Conservancy of Canada. A skilled strategist, public speaker and accomplished entrepreneur, Robert has delivered presentations and workshops as an expert on land securement across southern Ontario and abroad. Working in partnership with municipalities and government agencies for many years, Robert has facilitated and advised on the protection and creative stewardship of nearly 10,000 acres of environmentally significant natural heritage lands and parks in Ontario’s urban and rural communities. 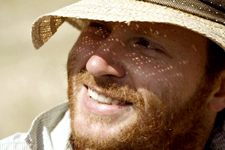 Robert also continues his work on a long-term plan to develop a unique ecovillage in partnership with conservation-minded individuals and families interested in becoming self-sustainable at a community scale. Robert is committed to making a sound contribution to the local food and urban sustainability movement in Canada. Thomas worked with Backyard Bounty from 2010-2014. Taking on the role of Program Manager in 2012, he coordinated the program each growing season, managing field staff, generating partnerships, delivering educational presentations, facilitating workshops, and organizing the CSA and farmers’ market sales. 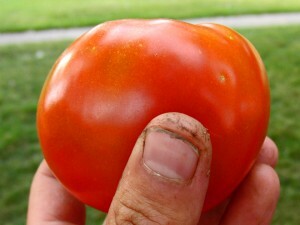 In 2013, recognizing that food banks have a need for fresh, quality, organic produce, Thomas sought out investors to fund the Grow Local Sponsorship Program, allowing Backyard Bounty to grow food specifically for the Guelph Food Bank. Thomas has over 5 years of market gardening experience, with four of his five growing seasons spent cultivating and harvesting food within an urban environment. He holds a BSc in Agriculture from the University of Guelph and is currently pursuing a Master’s in Geography, applying his research skills to enhancing community-based, food-related projects. He undertook additional studies at the Nova Scotia Agricultural College acquiring a Certificate of Specialization in Organic Agriculture and in 2009, worked in Windsor, Nova Scotia as an apprentice field manager on an organic market garden farm. In the spring of 2014, Thomas co-developed a youth-led urban farming cooperative that has 18 worker members aged 13-16 who are learning about cooperative business management, interpersonal skills, public speaking, and market gardening and sales.